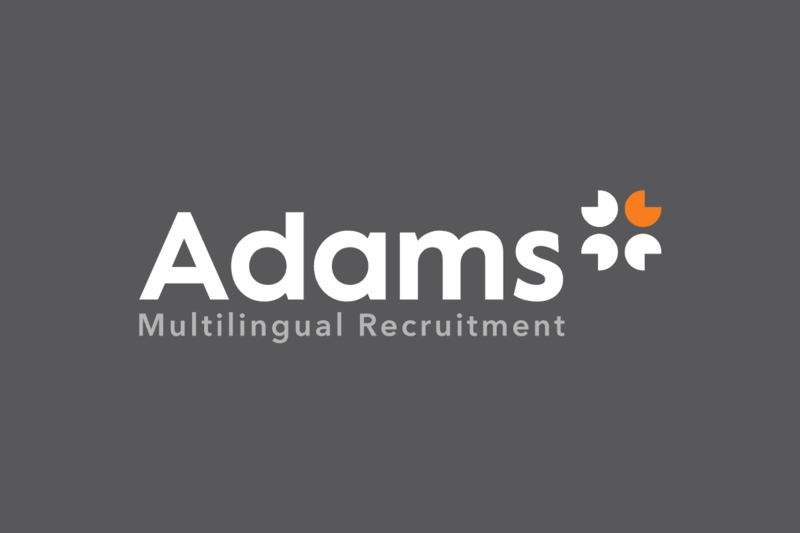 Adams Multilingual Recruitment are an established recruitment agency in the Netherlands, with offices in Rotterdam and Amsterdam. 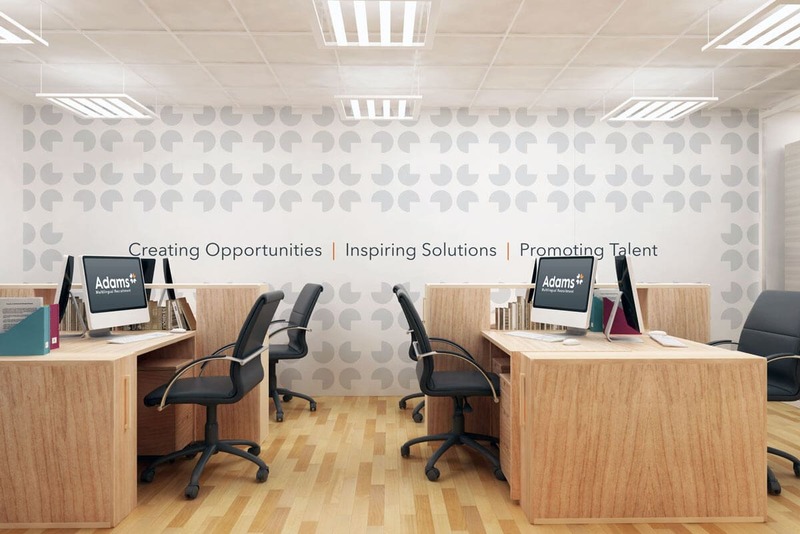 For 16 years, they have specialised in finding positions in international corporations for multilingual ex-pats. Their previous logo was described as feeling ‘a little tired’ and they wanted something that was both instantly recognisable, creating greater consistency across all of their corporate branding. 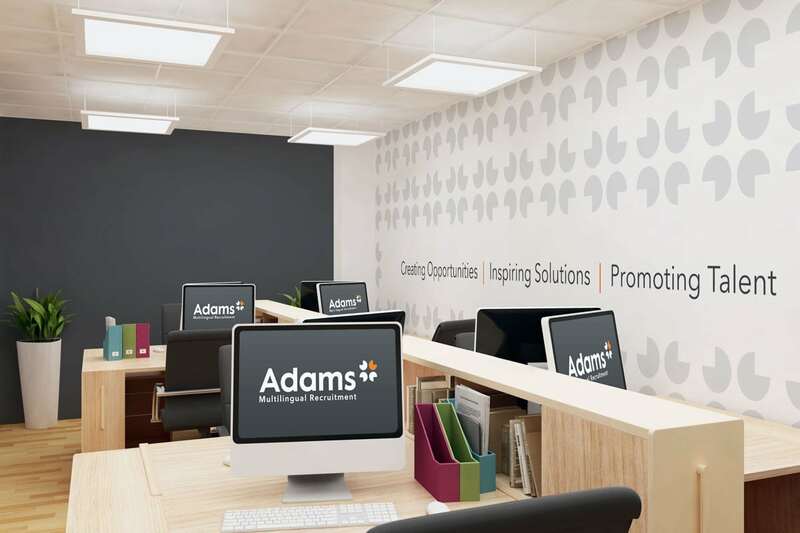 Whilst quality, enthusiasm and professionalism were put forward as key personalities for the Adams image, they wanted to be personal, honest and approachable. 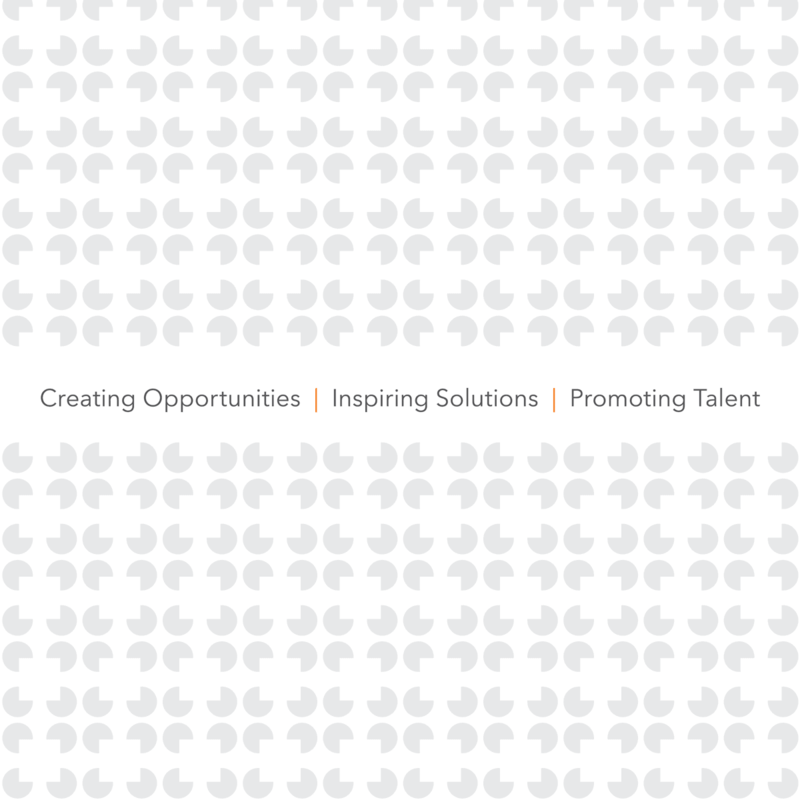 The logo design, based on the combination of the iconic Dutch tulips and four ‘heads’ communicating outwardly built the base of the corporate branding. 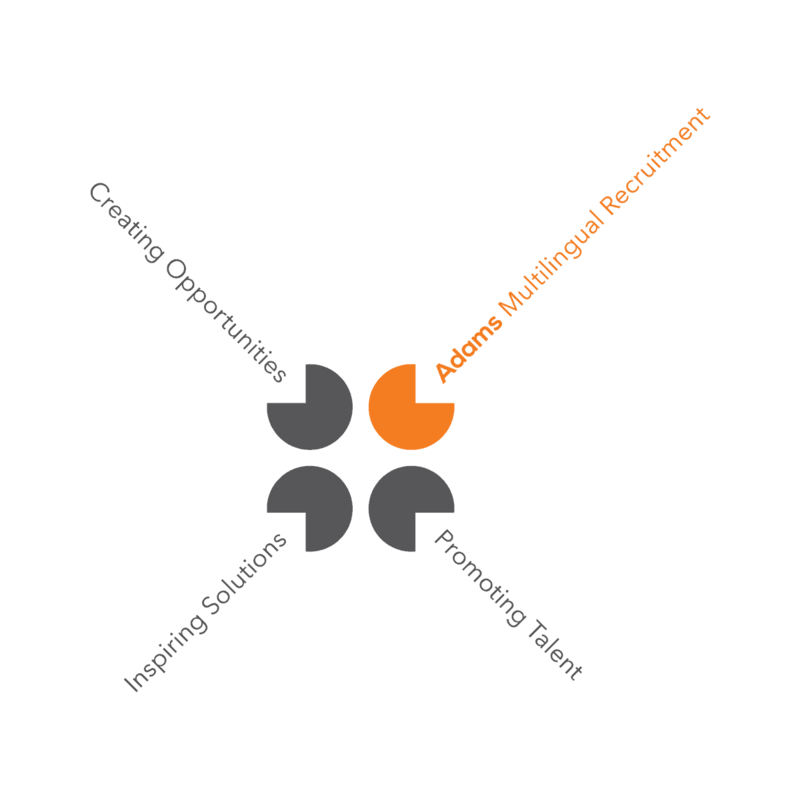 Only one of the four heads is coloured orange, this represents the idea of recruitment or selection for the job. The Netherlands are well known for its tulips and other flowers, often being affectionately called the “flower shop of the world”. Taking this as a visual clue and heavily simplifying it allows for a symbol that will be understood by other Europeans / ex-pats as being Dutch, without being cliché or overused. The simple, clean and iconic mark was utilised as ‘brand visuals’ in other branded media. 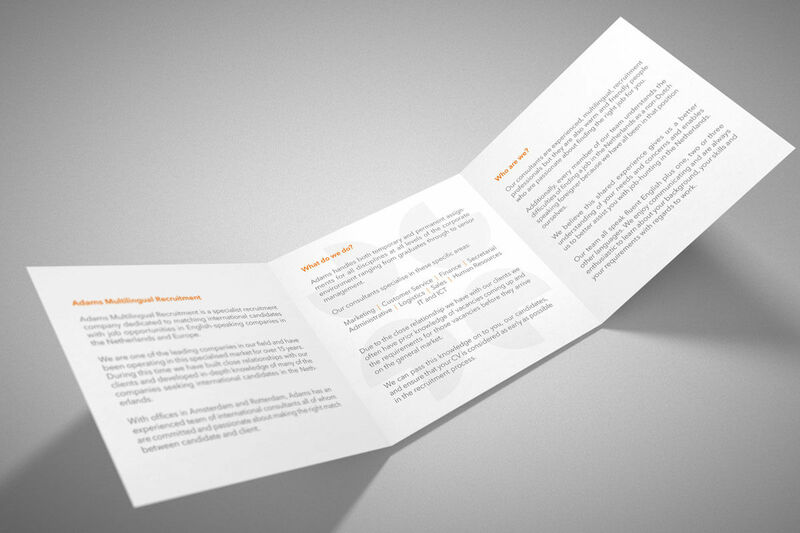 We thought this was extremely creative and loved the fact that the idea of the Netherlands, speech, and selection were all incorporated in one simple logo – it is clean, modern and so versatile in terms of development for other marketing materials. We asked Stuart to design a new logo and help with our corporate branding. We were really pleased with the results. He listens and really takes note of what you want to achieve, he is creative and inventive and quickly produced lots of beautifully presented ideas for us whilst remaining within the boundaries specified. 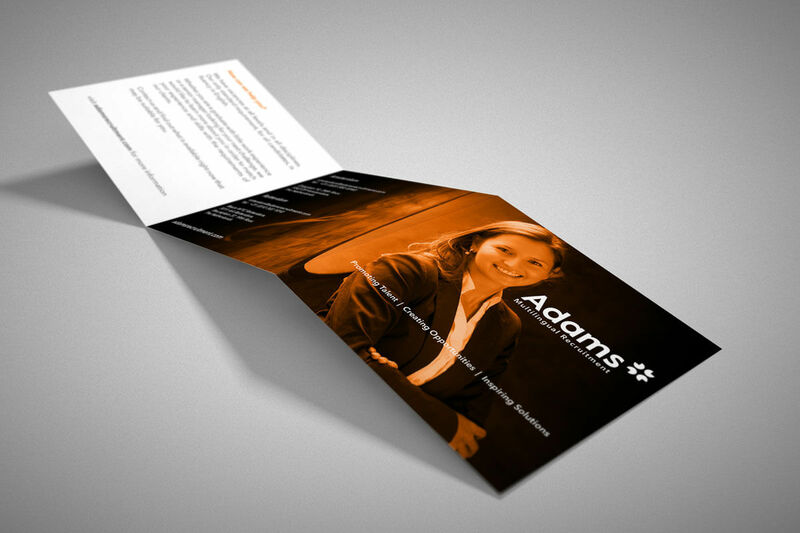 We were really impressed with both his creativity and the professional way in which he works. We recommend him very highly. Thinking about a Brand refresh this year?